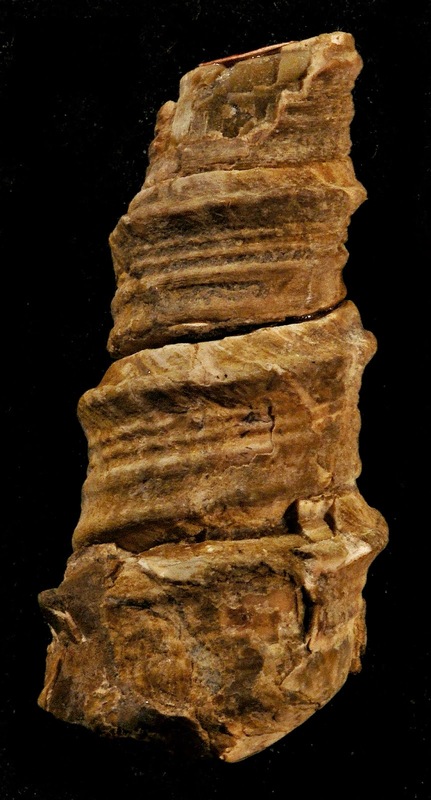 This post is a visual summary (see pictures below) of all the previously posted eight species of Turritella. 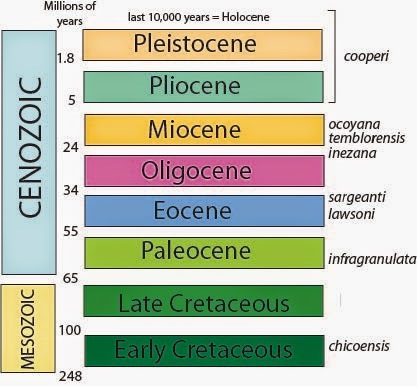 These species are "index fossils" or "guide fossils" of their respective intervals of time. An "index fossil" is one that is not only indicative of a relatively short interval of time, but one that is readily preserved, widespread, and common.